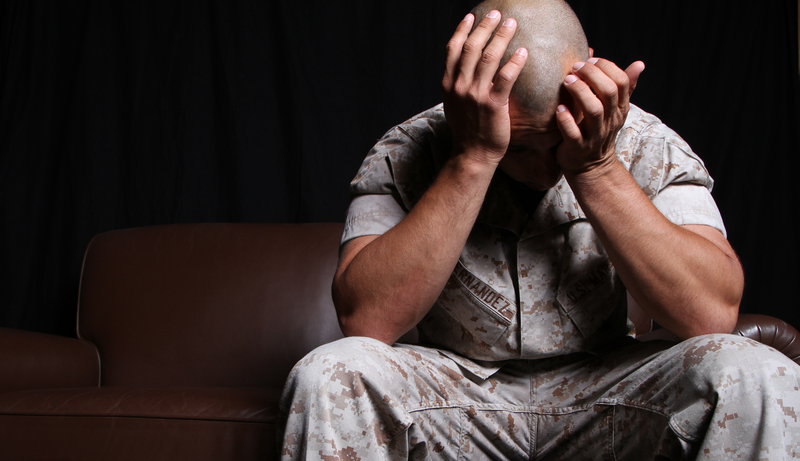 Today, we are hearing more about Post-Traumatic Stress Disorder than ever before. Many soldiers who have completed tours in the Middle East come home and continue to battle the after effects of war. Others experience a different form of trauma that has its own residual effects. Though PTSD is getting talked about more, there are still many misconceptions and a lack of information about the disorder. Here, we hope to shed some light on this common and serious condition. As a result, you may be encouraged to seek out help either for yourself or for someone you know. Though combat is a situation that can frequently cause PTSD among soldiers, it is not the only trigger. The term, “Post-Traumatic,” is meant to refer to any situation that may cause trauma for an individual. This includes instances of sexual assault, serious injury, or a life-threatening situation, such as a violent crime or natural disaster. With the support of family, psychotherapy, and medication, many PTSD patients are able to make full recoveries and go on to live happy lives. There may be some hesitancy about how to act around someone with PTSD. The important thing to remember is that they are not crazy, nor are they automatically violent. Oftentimes, those with PTSD frequently relive their traumatic experience and suffer from a variety of symptoms, including insomnia, as a direct result. Family therapy can help you learn how to communicate and cope with PTSD. It’s easy to remain in ignorance and think that someone who is depressed or has PTSD can just wish it away with a change in attitude. The truth is the longer PTSD goes untreated the more it can affect a person’s life and the lives of those close to them. Memories may fade over time in normal circumstances, but memories associated with PTSD never fade without proper treatment from a mental health professional. Sometimes we have negative experiences that we can naturally get over, but when you experience trauma, it changes you. Whether a natural disaster, war, sexual assault, or some other life-threatening situation, it will affect you. For some, PTSD develops as a result. It’s important to understand the role that trauma can play in a person’s psyche and mental health. However, there is help available and treatment to help you overcome. If you have experienced a traumatic situation that has caused an added level of stress or anxiety to your life, including reliving the experience or increased feelings of isolation and numbness, then be sure to contact a mental health professional to help you find the road to recovery.